Western Digital-owned HGST has launched a new hard disk drive, the Ultrastar C10K1800, destined for data centres where performance as well as capacity matters. The product is a 2.5in drive with a 1.8TB capacity and a 10K RPM spinning speed and is already shipping to selected OEMs, a FIPS version will be available early next year. 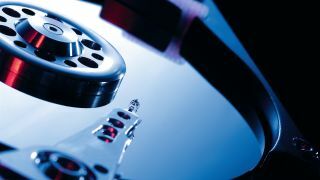 HGST says that it is up to 2.5X faster than similar hard disk drives on random write performance with a near 25% improvement in sequential performance. The company attributes the performance gains to a proprietary technology called media cache architecture which uses a "large non-volatile cache" and appears to work in a transparent manner. It uses a 12Gbps SAS interface and supports 4k native and 512 emulation sector sizes (as well as 512 native for legacy purposes). Other features include a small decrease in power consumption (both in idle and active modes) as wel as a slew of security and encryption options (Instant Secure Erase, Self-Encrypting Drives and FIPS (Federal Information Processing Standard) 140-2 certification, Level 2. The drive comes with a 5-year limited warranty as well as 2M hours MTBF lifespan. HGST unveiled a 15K drive with similar dimensions but a much lower capacity (600GB) earlier this year.